The Open Group created ArchiMate® as an open and independent modelling language for enterprise architecture (EA). The standard provides a notation to enable enterprise architects to describe, analyze, and visualize the relationships among business domains in an unambiguous way. ArchiMate® enables the creation of fully integrated models of the organization’s EA, the motivation for it, and the programs, projects and migration paths to implement it. ArchiMate® Version 3.0 consists of the ArchiMate® Core (the core language), aimed at the description of the four architecture domains defined by the TOGAF® standard (business, data, application, and technology architectures, as well as their inter-relationships), and extensions to model the motivations for the architecture, and its implementation and migration planning. By providing a vendor-independent set of concepts, that helps to create a consistent, integrated model “below the waterline”, which can be depicted in the form of TOGAF views. 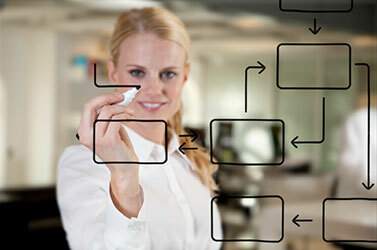 By enabling modelling throughout the TOGAF® Architecture Development Method. The language structure of the ArchiMate® Core corresponds with the three main architectures as addressed in phases B, C & D in the TOGAF® ADM. The extensions to the Core closely correspond with the main aspects to be addressed in the Preliminary phase, Phase A and the Central Requirements. The ArchiMate® 3 certification programme includes certification for people and for tools supporting the ArchiMate® standard. The ArchiMate® 3 Certification for People programme enables professionals around the globe to demonstrate their knowledge of the ArchiMate® standard. The certification is achieved through an examination and practical exercises as part of an Accredited ArchiMate® Training Course. The Open Group ArchiMate® Tool Certification Programme makes certification available to tools supporting ArchiMate®. The goal of the Programme is to ensure that architecture artifacts created with a certified tool are conformant to the language. The Open Group ArchiMate Forum enables member organizations to contribute to the evolution of ArchiMate. Joining the ArchiMate Forum enables you to actively support the use, dissemination, and further development of the ArchiMate specification. The ArchiMate Forum is open to all Open Group member organizations that apply EA in practice, or support its use and development.